This 92-acre Coastal Mountains Land Trust preserve is located in Belfast along the banks of the Passagassawakeag River. The Head of Tide Preserve features two miles of hiking trails, a picnic area, and an educational permaculture garden. Visitors enjoy birdwatching and nature observation. Forming the heart of a 28-mile network of trails in Waldo County, the Midcoast Conservancy’s Northern Headwaters Preserve includes prime habitat for spawning salmon on the Sheepscot River. The preserve is open year round where visitors can hike, hunt, fish, snowshoe, and observe native wildlife. Located in Stockton Springs, this 100-acre park is located on a historical point at the mouth of the Penobscot River. The park features a sandy beach, two miles of gentle hiking trails, and ample opportunities to observe wildlife, including resident osprey and migratory shorebirds. Located in Unity, this 233-acre farm includes hayfields, cropland, a working woodlot, and a portion of the 47-mile Hills to Sea Trail. 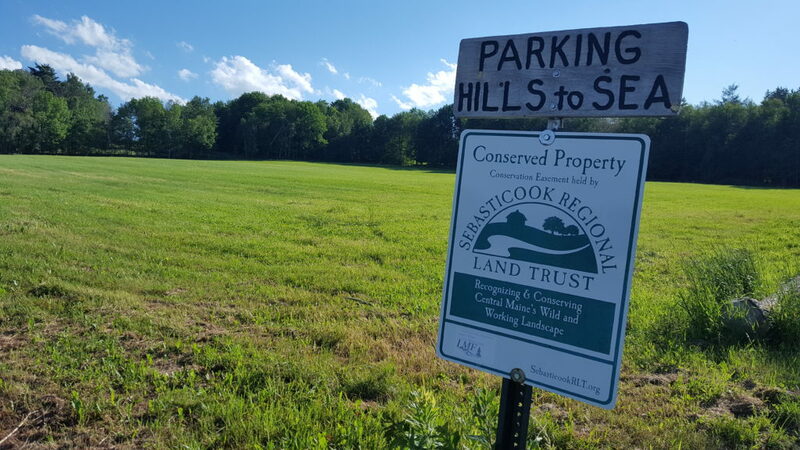 Conserved by the Sebasticook Region Land Trust, the farm is found along a six-mile section of the long-distance trail that offers scenic views of Unity and many opportunities to observe wildlife.